TNPSC has declared the result of Group 1 Prelims Exam 2019 Released, Prelims Exam was held on March 3rd, 2019. 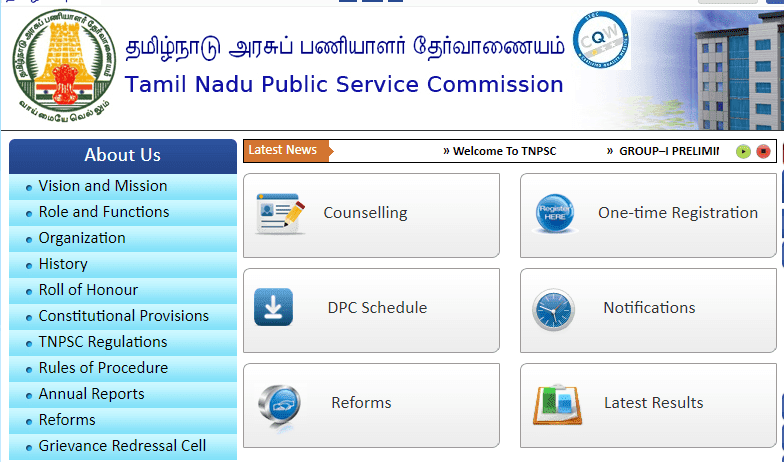 TNPSC Group 1 Result: Tamil Nadu Public Service Commission has declared result of Group 1 Examm. Candidates who appeared in the examination can check their result at the official website of the commission. TNPSC Group 1 Exam was held on March 3rd, 2019. Candidates who qualified in the prelims exam will allow to appear in mains exam. According to a results notification released by TNPSC, the main written examination will be held on July 12, 13 and 14, 2019. The candidates who have been admitted provisionally to the Main Written Examination have to pay ₹200/- towards the examination fee (unless exemption of fee is claimed) and should upload the scanned copy of documents in support of the claims made in their online application from April 10, 2019 to 20, 2019 in the e-seva centres run by TACTV.